Bring the Thunder, Own your Superpower! Welcome to Thunderweek 2018, T-Birds! The first week of fall quarter will be packed with fun activities for students to become engaged and excited at the start of the school year. 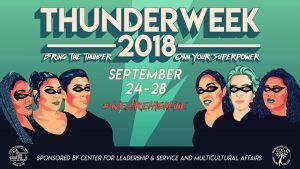 Special thanks to the Center for Leadership & Service and Multicultural Affairs for planning Thunderweek 2018! • 9AM – 11AM: Center for Leadership & Service and Multicultural Affairs Open House. Located: Highline Student Union, Bldg. 8, 3rd Floor. 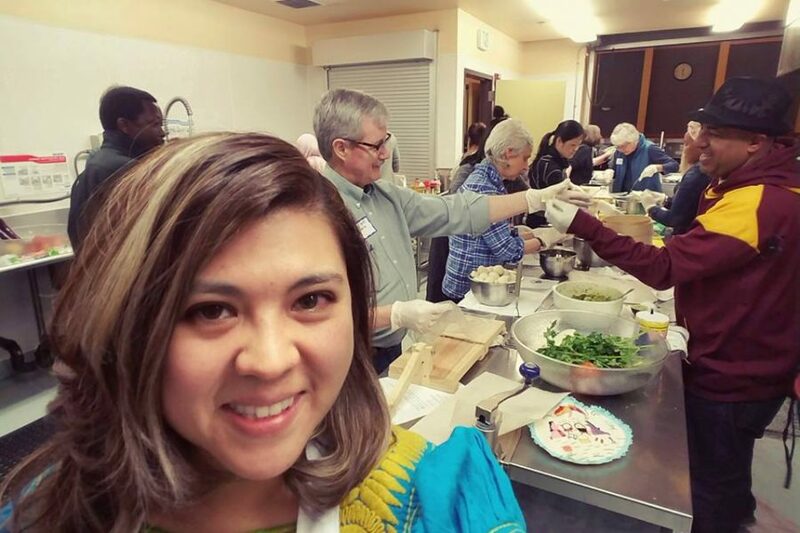 • 11:30AM – 1:30PM: Inter-Cultural Center (ICC) & Multicultural Affairs Open House. • 11:30AM – 2PM: Thunderzone: Food Trucks & Games. Meet new friends and compete in fun games! Learn what it takes to succeed at Highline! Our speakers will inspire and equip you with resources to kickstart your best year yet. Bring your student ID to participate. For more information, contact Jade Chan at jchan@highline.edu. If you need accommodations due to a disability, please contact Access Services at (206) 592-3857 (voice) or (206) 870-4853 (TTY).